Rather than just include the crappy Chinese instructions with this LED bulb kit, I thought I'd create my own. 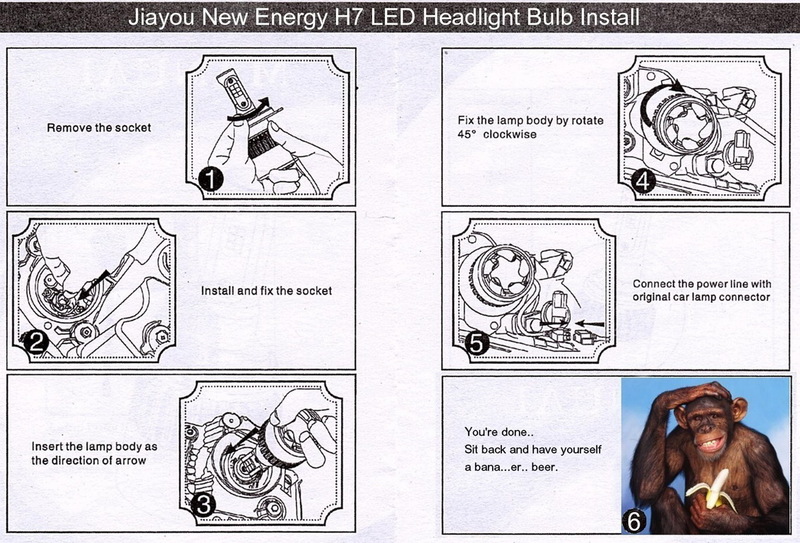 Installing your new LED bulb in actuality is chimp easy. Nothing to fear. There are two ways to do it. Either will work. 1. 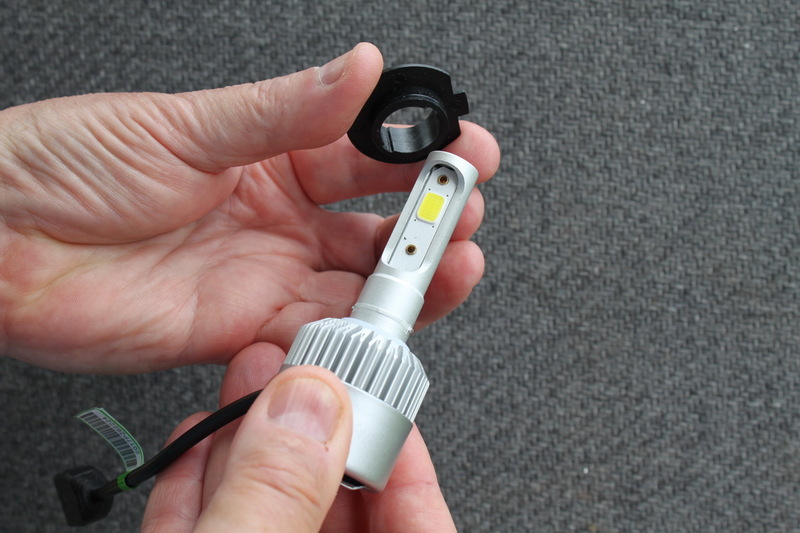 HARD WAY: Access your oem bulb, unfasten the metal clips that hold it into place and remove it. Then insert your LED bulb and do your best to get your metal securing clips around that fat silver body without breaking them. Plug it in and your done. 2. EASY WAY: Hold the base/fan housing in one hand, the black plastic H7 fitting in the other, rotate the base/fan counter clockwise 1/4 turn. (see pic below) The bulb should release from the fitting. Install the plastic fitting in the light housing and fasten it with metal clips. Insert the bulb and rotate it clockwise and it should lock into place. Plug it in and you're done.